Real Estate manager allows you to create your own real estate and property website on Joomla site for personal purposes and for real estate, property management. Professionally solution for real estate sales where realtors have an ability to book property using nice forms with calendar and send message to agent concerning buying of the property. Realtor or agent can manage submitted booking and buying requests from customers: accept or decline them both from backend and frontend areas, view booking history of realty for selected user, mark property as rented, edit rent of property, return house from rent and more. Real Estate Manager contains all the necessary additions to the convenience and professional functionality: Plenty of Views and Layouts, Google Maps Integration, Email Notifications, Advanced Realty Search, Language pack, PayPal Payment System Integration. Vehicle Manager allows you to create vehicles catalogs (auto catalog, truck catalog, bike catalog etc). With Vehicle manager component for Joomla you can create own vehicle web portal for sell, rent, buy vehicles. This car dealership website builder is suitable not only for single dealers but also it can be used for creation of portal of vehicles, where several dealers add vehicles from frontend, sell and rent out their vehicles. 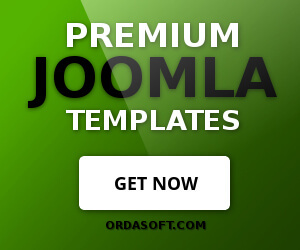 Vehicle Manager for Joomla includes features such as: easy to install, responsive design, support service, variety of pre-designed layouts, options for monetizing and promotion, system of email notifications, language manager option, set of additional modules, plugins and templates. OS Image Gallery - Responsive Image Gallery is easy to install and use software for Joomla based website. This component includes the most powerful features that meet modern trends. Drag and drop allows you to download your images by simply dragging them to the browser. Joomla image gallery is fully responsive for different screen sizes. OS Image Gallery has a high speed, a watermark that will protect your images from copying, as well as a large amount layouts and of course fully compatible with search engines. OS Touch Slider - Joomla responsive slideshow module, which enables you to display your content with beautiful transition effects. Easy to install and use, it has a drag and drop function and will display correctly on different devices. It allows you to display html, which allows you to embed YouTube, Vimeo video, background music. Supports Google Font, allow modifications to the font size and color, and choose from more than 30 beautiful transition effects. OS Comments and Sharing - Joomla social share module is a light weight and simple to use Joomla social share module (plugin). Sharing Buttons help you to increase your audience by engaging people from social networks as well as sharing content across multiple social networks and platforms. Joomla social share module(plugin) includes 8 awesome layouts and fantastic Joomla social buttons (Round, Square, Tongue), so you can place them anywhere on your website. A feature of the module is the integration with Google Analytics, Facebook Application ID, XPath Integration. Book Library is component for Joomla CMS allows you to manage and maintain a book library, ebook collection (you can make public/libraries and post pdf books, ebooks) with ease on a Joomla based website. Details of books in your online store can be easily fetched from Amazon using the ISBN. In Book Library Joomla extension you can manage the Authors of books, e.g. fill in description of author, insert photo at backend. Book Library supports sending user and admin email notifications. Also In Book Library Joomla Solution admin can change language variables using convenient tool for this - Language Manager. Book Library also contains all needed modules and plugins for building fully functional online library website and manage it easily. Simple Membership is Joomla based component for creation Subscription and Premium Members accounts on your Joomla site. With OS Simple Membership you will be able to implement a paid subscription (via PayPal). Only users who have paid a subscription, will be able to view hidden content website. In the admin panel you can set the length of the subscription, select one of the 15 layouts pricing tables, manage group subscriptions, and more. Media Library is a software for Joomla provides you with a full-featured media library or media collection Joomla based website. Media library provides direct selling of media items Music, Movies, Books, Games, CDs, Records & Music DVDs, Online Music CD, Hybrid CDs, DVDs, Blu-ray via Virtue Mart component. The Media library software can also be used to easily set up a media selling shop using Amazon. Media Library is software simple in installation and using. Sef Translate Component is a translate software for Joomla based website, automatic pages translation on your Joomla site. You can to choose the translation method in the admin panel (Instant, jQuery or Redirect). SEF Translate automatically translates the content of your site using Google Translate or Bing / Microsoft Translator, including a sitemap and meta tags, which improves the visibility of your translated pages in the search engines. Also in the SEF Translate has the opportunity to correct incorrectly translated pages in the admin area. With Advertisement board you can create web Ads directory or add Advertisement Board component to your site for your users, they can add ads about selling, buying. The Mortgage Payment Calculator module for Joomla based sites. This Joomla mortgage calculator will be useful for sites built with Real Estate Manager. There are two types of Joomla mortgage calculators - Mortgage Payment Calculator and Mortgage Payment Calculator with Charts. This simple Mortgage calculator will allows users on your website to calculate loan payments online. Mortgage Payment Calculator allows the user to set the amount of loan, the repayment term of the loan, frequency of payments, the interest rate and shows the result in a table. The Google maps location module for Joomla based sites will show a map for a specified location. Google Maps location module can be used on Home page, contact form and also you can add Google Map to your Joomla articles. The module uses the Google Maps API (for which you can request a free key for your website). 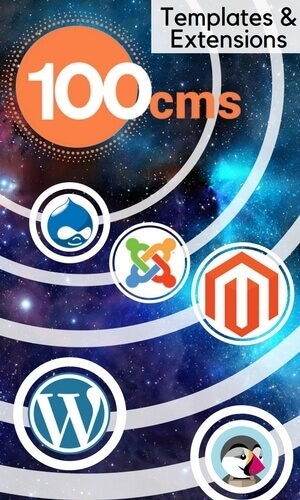 OS CCK is easy yet powerful Content Construction Kit for Joomla that helps to create various kinds of product catalogs, classifieds and listings. OS CCK Joomla component is great solution for building website with rental products (real estates, cars, books and more) as it has built-in functional for creating and managing Buy and Rent Requests. Responsive & Mobile Friendly Design, Advanced Style Options, Variety of Field TYPES: 15+ content Fields. HTML/PHP/CSS/SCRIPT Custom Code Area for Experienced Users, and much more. Check out the demo.